This Month in Real Estate is a monthly video news series, provided by Keller Williams, that offers an inside look at the national real estate market. Each edition provides a snapshot of the numbers and trends that drive the real estate market, as well as expert opinion and analysis. For information on your local real estate conditions, please contact Karl Hess. Prepared by Karl Hess of Keller Williams Realty Monmouth/Ocean on Wednesday, August 31, 2011 12:13 PM. Here is the list of Open Houses in Point Pleasant on Aug 21, 2011 with easy to access maps and numerous photos. Plan Your Day with Point Pleasant Open House Maps: The link to the left provides an interactive map for all open houses in Point Pleasant Beach and Point Pleasant Boro or click on the address’ below. Most Open Houses will take place between 1:00 PM and 3:00 PM, so use the maps provided in the links to plan your day…or call me and I’d be happy to set up an exclusive “tour of homes” at your convenience. Open House in Ocean County with photos and maps for August 21, 2011 in Barnegat, Waretown and Manahawkin. Plan your day by using the interactive maps: Below are the Open Houses in Barnegat, Waretown and Manahawkin for August 21, 2011 Click on each link below to access photos and maps for each property. Even with a signaficant growth in population and employment, Ocean County maintains a vast amount of protected open space which will ensure the balanced land use of the area in the future. Much of the area west of the Garden State Parkway contains large tracts of State Parks, Forests and Wildlife Management Areas. In addition, approximately 20,000 acres east of the Parkway are protected under the Edwin B. Forsythe National Wildlife Refuge. The Barnegat Bay and Little Egg Harbor, which stretch nearly the entire north-south length of the County, were recently added to the US National Estuary Program and will be the subject of continuing environmental protection efforts. In addition, the Ocean County Parks Department maintains an active capital program for parkland acquisition and development to ensure that a variety of recreation opportunities are in close proximity to residents throughout Ocean County. As always, the coastal beaches of Ocean County are foremost among the County’s attractions and continue to draw thousands of seasonal visitors to the area each year. Open House in Toms River with photos and maps for Sunday Aug 21, 2011. Toms River Open House information including school reports, neighborhood data and Toms River Market Trends. Click here for the list of Open Houses in Toms River on Aug 21, 2011 with easy to access maps and numerous photos. These homes are located in East Dover, North Dover, Georgetown, Shelter Cove, Ortley Beach, Money Island, Green Island, Silverton, Snug Harbor, and throughout Toms River Twp. Plan Your Day with Toms River Open House Maps: The link to the left provides Toms River Open House Maps for open houses in Toms River with property and location information. Open House in Lacey Twp, including Lanoka Harbor and Forked River with photos and maps for August 21, 2011. Lacey Twp Open House information with school reports, neighborhood data for Lacey Twp, Lanoka Harbor and Forked River housing market trends. Click here for the list of all Open Houses in Lacey Twp on August 21, 2011 with easy to access maps and numerous photos, including Lanoka Harbor, Forked River, Bamber, Sunrise Beach and the surrounding area. Plan your day with Lacey Twp Open House Maps: The link to the left will give you an interactive map for all open houses in Lacey Township for Agust 21, 2011 or click on the address’ below. Open House in Jackson, NJ with photos and maps for Sunday August 21, 2011. Jackson Open House information including school reports, neighborhood data and Jackson housing market trends. Here is the list of Open Houses in Jackson on August 21 with easy to access maps and numerous photos. These homes are located in Bennetts Mills, Cassville, Francis Mills, Jackson Mills, North Jackson, Woodmere, and throughout Jackson Township. Plan your day by using Jackson Open House Maps: The link to the left provides an interactive map for open houses in Jackson with property and location information or click on each address below. Open House in Brick Township with photos and maps for Sunday Aug 21, 2011. Brick Township Open House information including school reports, neighborhood data and Brick Township housing market trends. Here is the list of Open Houses in Brick Township on August 21 with numerous photos and maps. These homes are located in Baywood, Osbornville, Herbertsville, Cedarwood, Sandy Point, Midstreams, Lake Riviera, Metedeconk, South Hampton, Mantoloking, etc. Plan Your Day with Brick Twp Open House Maps: The link to the left will provide you with photos and an interactive map for open houses in Brick Township for Aug 21, 2011, or click on each address below. Open House in Bayville with photos and maps for Sunday Aug 21, 2011. Open House information including school reports, neighborhood data and Bayville area housing market trends. Click here for the list of Open Houses in Bayville on Aug 21, 2011 with easy to access maps and numerous photos. These homes are located in Bayville, Holiday City, Cedar Beach, Holly Park, Kesswick, Manitou Park, Pinewald, and throughout Berkeley Twp. Plan your day: Bayville Open House Maps: The link to the left provides Bayville Open House Maps for all open houses in Berkeley with property and location information or click on each address below. Feel free to contact me, Karl Hess, at your convenience for an exclusive tour of homes. You may have noticed a large upswing in the number of ‘for sale’ signs in your neighborhood. Many of these homes even have a foreclosure or bank-owned sign in the front yard. This year, approximately 1 in every 577 homes in the United States was issued a foreclosure notice, with worse statistics in many states such as Florida, Michigan and Nevada. This is a staggering number that has reached a new record in many metropolitan areas. Unemployment. The current national unemployment rate is 9.1 percent, and has reached double digits in many states. Due to the declining economy and rise of overseas outsourcing, many homeowners have been laid off and are unable to afford their monthly mortgage payments. This leaves their mortgage in default status, and eventually causes the bank or lender to reclaim the property. Property value decline. Due to the recent mortgage crisis and economic recession, there has been a surplus of available properties and few buyers eligible to purchase them. This has caused many homeowners to lose property value in the double digits, some as much as 50 percent. In effect, many have become ôunderwaterö on their mortgage, meaning that they owe the bank more money than the property is worth. This uncontrollable situation has left many homeowners feeling helpless and resorting to selling their homes either ôshortö – for less than the amount owed – or letting the bank foreclose on the property. Neighborhood quality decline. Due to drastic property value declines of 20 percent or more, many underwater homeowners who need to move and choose not to short sell or foreclose on their properties have chosen to rent them out instead. This has brought in a number of young families, college students and low-income renters to neighborhoods that used to contain all middle-class homeowners, increasing the amount of gang-related activity and graffiti, and resulting in an overall neighborhood quality decline in some areas. Homeowners who remain in these areas may want to move, but are unable to sell, leading them to eventually foreclose or sell their homes for less than the owed value. Interest rate increase. Prior to the mortgage crisis, many homeowners took loans with adjustable rate mortgages (ARMs) that may increase over time. For some borrowers, their interest rate hike equates to hundreds of extra dollars they have to pay on their mortgage each month. Many homeowners can no longer afford their monthly payment once the higher interest rate kicks in. Some of these homeowners are able to refinance to save a home from foreclosure, but many others are not so lucky. Tax or HOA fee increase. In most metropolitan areas, taxes have been increasing yearly. For a homeowner who purchased 20 years ago, there may have been a double digit tax increase in the time since they bought their home. As a result, they may be unable to afford to pay their increased property tax. Likewise, homeowners with a variable or ever-changing homeowners association (HOA) fee can feel the pressure of added expenses. This scenario is very common in Florida in recent years, as vacant or foreclosed condominiums are on the rise and year-round homeowners are expected to pay a higher HOA to cover the difference in property maintenance fees. Poor money management. Many homeowners are simply poor at managing their money. Issues such as retail, drug/alcohol or gambling addictions can make homeowners unable to meet their monthly bill obligations and can be an underlying factor in what causes house foreclosures. Death or illness. In many instances, the illness or death of a family member can significantly impact the household income due to medical bills, lost wages or funeral expenses. Many of these people may be unable to afford their mortgage payment and fall into default status on their home loans. Divorce. If a husband and wife divorce, either party must ôbuy-outö or move from a dual-earning household to a single. In this scenario, they may no longer be able to afford their monthly mortgage payment on a single salary alone. If they are unable to sell due to a surplus in housing or underwater mortgage, they may resort to foreclose on their house. Many homeowners may be wondering, how can I save my home from foreclosure? There are a few options available to homeowners at risk for default on their loans. A possible solution is to refinance to save from home foreclosure. Refinancing can provide a lower interest rate that the homeowner may be able to afford long-term. If refinancing is not a possibility, another option may be to short sell the property. Short selling, or selling for less than the amount owed to the lender, is still damaging to a homeowner’s credit but has less impact on the credit score than a foreclosure. With a short sale, a person may also have the ability to buy a house sooner in the future. Each homeowner has a unique financial and personal situation, and the decision to foreclose on a house that was once considered a home can be a difficult decision for many people. Understanding what causes house foreclosures can help homeowners avoid these scenarios and may ultimately help save a home from foreclosure. 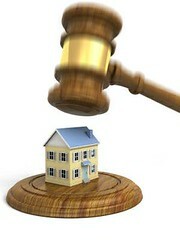 For more real estate tips, go to TheJerseyShoreHomefinder.com, click Market Insider, then Insider Tips. Below is the complete list of Open Houses in Ocean County for August 14, 2011 Click on each link below to access photos and maps for each property.